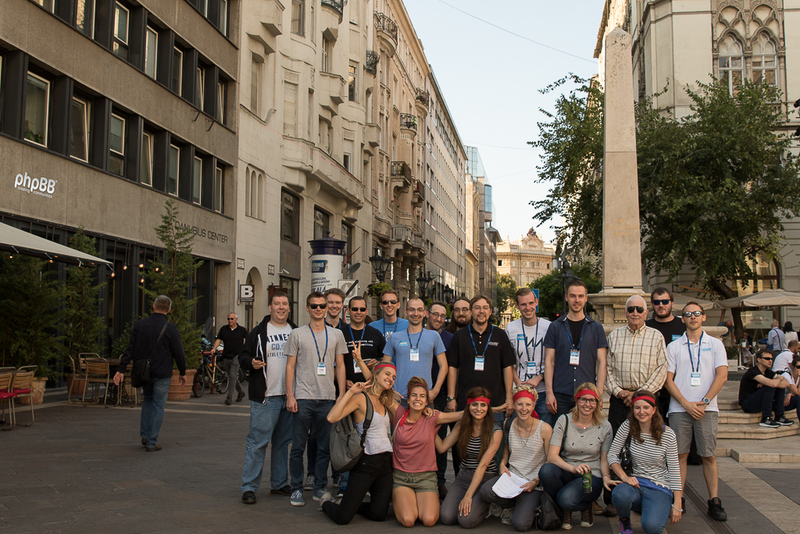 After several months of preparations and many hours of travelling, most of our team members have arrived in Budapest for our annual team hackathon. 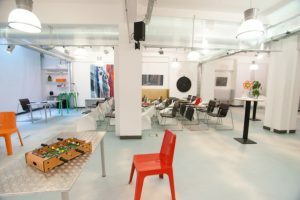 Our meeting space was provided by L’Office Budapest. 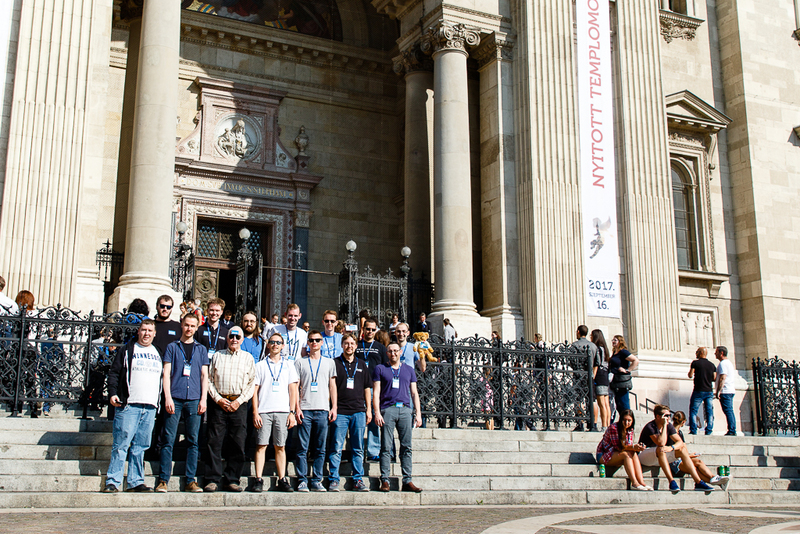 Their great team made sure we got to work in a nice environment in a lovely location. Thanks a lot for your hospitality! 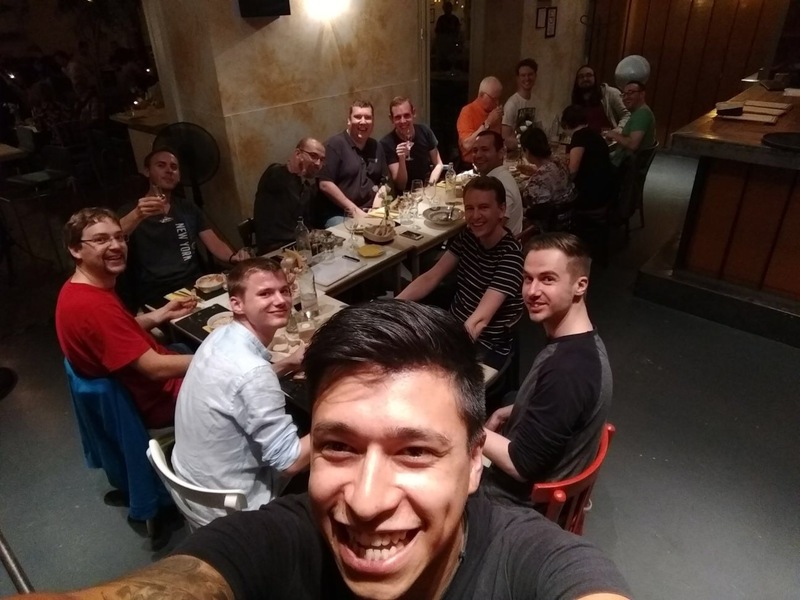 Our party consisted of: CHItA, Crizzo, DavidIQ, Derky, Elsensee, hanakin, JimA, kasimi, Marc, Marshalrusty, Nicofuma, Paul, rubencm and stevemaury. 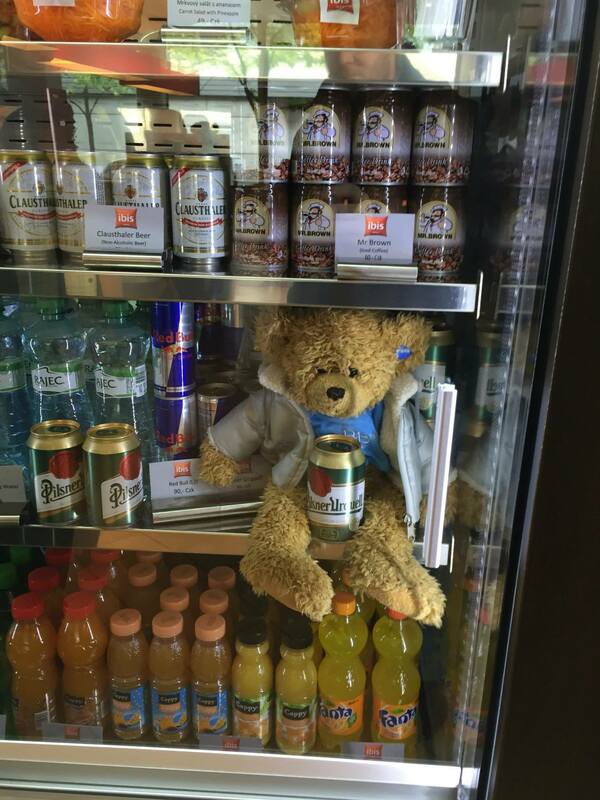 Here are some nice pictures to make you feel like you’re here with us! The longer you spend developing software, the more seriously you start to take setting up the perfect development environment. And the more seriously you start to take following best practices. One of these practices is setting up a development environment that matches the production environment that you are using. There are a couple of reasons why this is beneficial. Firstly, if multiple developers are working on a project then you can be sure that code written by one person will work for the other developers. 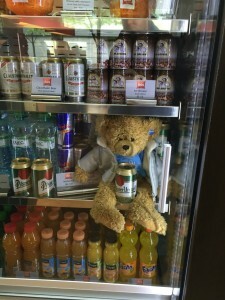 And secondly, when that code is deployed to a production environment you know that it should theoretically work straight away seeing it was written in a matching development environment. A simple example of failing to do this would be if a developer was using a PHP7 development environment and wrote a statement which included the spaceship operator. If this code was then deployed on a PHP5 environment, the code would not work. If the developer, knowing that the production environment runs PHP5, had set up their development environment accordingly this bug would have been noticed much sooner. At first impression, it seems impossible that a developer writing and testing code on their Windows PC can set up a local development environment that matches their live web server which in the vast majority of cases is running on Unix. But this is actually not the case, it is possible – and in fact, not all that difficult – to do this. It can be done using a couple of Windows programs that enable the creation of virtual Unix machines. Basically what this means is that you can set up a lightweight Unix server that runs within Windows, so you can still use your favourite Windows text editors and tools but when it comes to running the code it will be run in Unix. 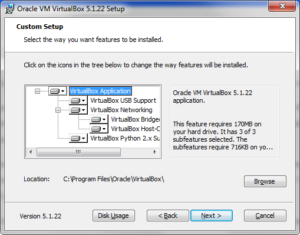 In this article I’ll be looking at Vagrant and VirtualBox. Note: This article assumes basic knowledge of the command line on Windows and Unix. Use the default set up options. Now Vagrant needs to be installed. Vagrant runs alongside VirtualBox to allow users to quickly provision new and different types of development environments. 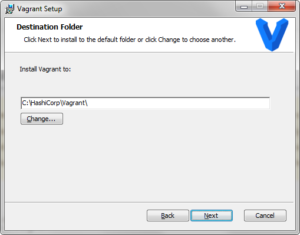 It can be downloaded from https://www.vagrantup.com/downloads.html and once again the default installation options should be used. You can confirm that it’s correctly installed by rebooting your PC, and then opening Command Prompt (cmd.exe) and running the command “vagrant”. This should return example usage options. https://github.com/mitchellh/vagrant/issues/8520#issuecomment-297792410 – it appears this will be resolved in v1.95. 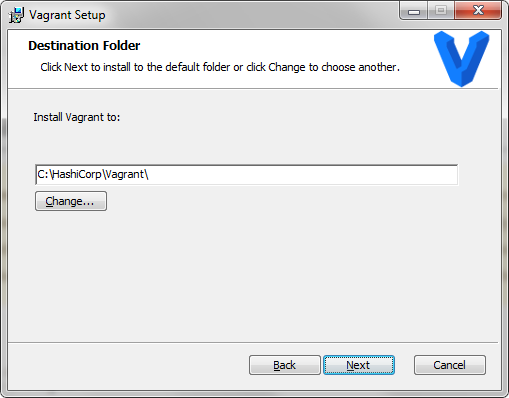 With Vagrant now installed, create a folder on your PC where you want your Vagrant projects. 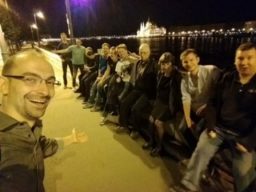 I called mine VagrantProjects. In your command prompt window, “cd” into this folder. Then run this command: “vagrant init”. This will create a Vagrantfile. This is a file where development environment settings are stored. Then run “vagrant up” while still in that directory. Watch the messages in the command prompt window for the SSH username and password. You will need to note these down so when the virtual machine is running you can log into it. 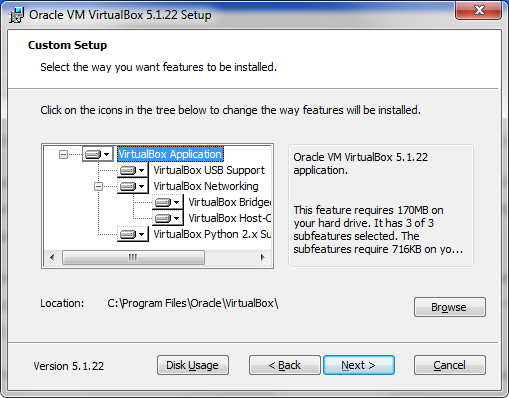 Once the VM (virtual machine) has booted, you can open the VirtualBox application to confirm that it has indeed been created. If you run “vagrant status” you will see that the state is running. Next, run “vagrant ssh” – on Windows it likely won’t work. But it will provide some important information. The host/port/username will be shown again but so will “private key” – this path is important. 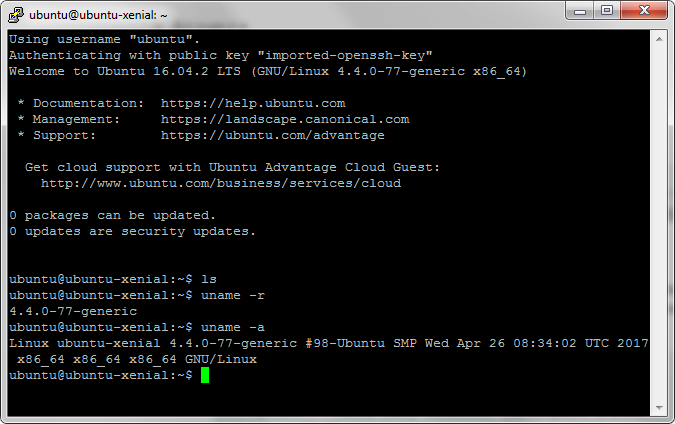 An SSH client needs to be installed now. This is a client that allows you to log in to a remote server – but in this case it can be used to log in to the virtual machine. Putty is a very lightweight and effective client, and can be downloaded and installed from https://www.chiark.greenend.org.uk/~sgtatham/putty/latest.html – download both Putty and PuttyGen. Firstly, open PuttyGen, click load, and the choose the private key path specified a moment ago. Then using the default settings, click save private key. I called it pg_private_key.ppk. This key is later used merely to authenticate you and grant you access to the virtual machine. Now go to Connections -> SSH -> Auth -> Private key file for authentication and select the ppk file. Under Connections -> Data you can enter under “auto login username” the username shown in the command prompt earlier. Then go to Sessions, and under Saved Sessions type “Vagrant”. Click “Save”. Now you will not have to perform this step again, you can simply double click “Vagrant” in the future to quick-load your VM. Finally click open, and a new command window will appear. But this time, it’s your new virtual server! From the Putty window, type “logout” to leave the session. And in the Windows command prompt window type “vagrant halt” to shutdown the virtual machine. “vagrant status” will confirm that the state is powered off. The “Linux” part has been handled now, but to continue setting up a local development environment Apache, MySQL and PHP is still required. So that development can take place in Windows, but run on the Linux virtual machine there needs to be some level of directory synchronisation. The final two commands create a symbolic link so you can store your files locally but also run on the webserver in the virtual machine. Now run “vagrant halt” followed up by “vagrant up” to restart the virtual machine. Go to http://127.0.0.1:4567/index.html in your browser and you will see the file created above. When prompted, choose a password for the MySQL database. … and entering the password chosen above. Pro tip: if you wanted to quickly run an SQL query, you can do it by typing the query after you’ve run the previous command. Type “CREATE DATABASE test;” to try it out. Enter “exit” to exit from the query window. And then run http://127.0.0.1:4567/phpinfo.php and you will see that PHP is running correctly. As this demonstrates, any files or subdirectories you put in the /html directory become accessible through the web server. By this point, you have everything you need to install phpBB and you can use the “test” database that was created in an earlier step. Select apache2 by pressing enter, when prompted. Then select “yes” when shown the dbconfig-common prompt. Finally enter your MySQL password. This creates a database user called phpmyadmin (with a password of your choice, specified in the command above) with access to the test database created earlier. Press “Escape”, then “:wq” to save and exit the file. With this done, you will now be able to log into phpMyAdmin by visiting this URL – http://127.0.0.1:4567/phpmyadmin/ – after logging in you can see the dashboard and view your tables and run queries. With this complete, you now have a working development environment running on Linux with Apache, PHP and MySQL installed along with phpMyAdmin. As software developers the most important aspect of the development process is setting up a local development environment. The vast majority of web servers run on Linux systems, but most consumer operating systems use Windows. This doesn’t preclude Windows users from developing PHP applications though. 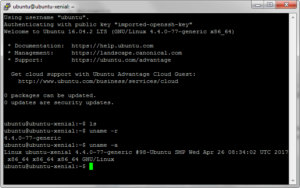 There are a number of ways to do this, such as using an emulator like Vagrant to create a virtualised Linux environment or actually installing the Linux operating system on your computer. But the easiest approach is to simply install an application which will allow PHP, MySQL and Apache to run on a Windows machine and the application I most like for this is called WAMP. 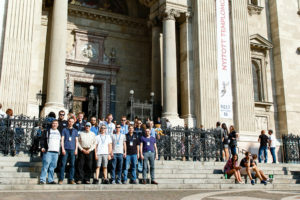 WAMP is a free program which can be downloaded from http://www.wampserver.com/en/. Select your operating system type and click on the download link. Once downloaded, open the installer and select your desired language (English or French are the only options at this time). From here, follow the prompts – the default options should be sufficient. 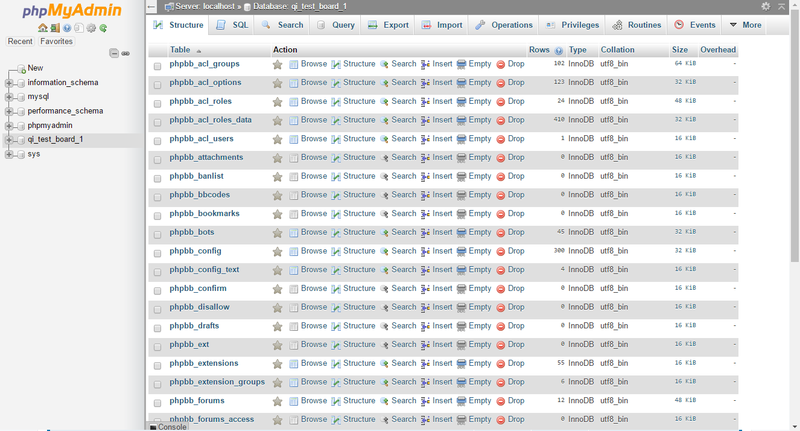 Once set up, navigate to the www directory that WAMP has created (usually C:\wamp\www). This is where the webserver files are served from. For the purposes of this tutorial I created a subdirectory in here called “demo”. Firstly, download the latest version of the QuickInstall tool – QuickInstall is an invaluable tool for developers because it allows multiple boards to be created with pre-defined settings and later managed at just a few clicks. 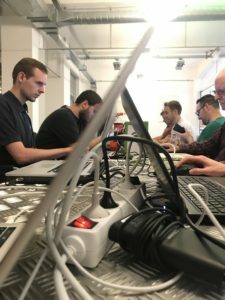 Why this is so important is if, for example, you are developing multiple extensions you can easily set up a different board – a vanilla, brand new board – to test and develop each one on individually. Extract the QuickInstall zip file contents into the “demo” folder. 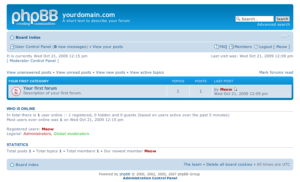 Now, download the latest phpBB version from https://www.phpbb.com/downloads/ – v3.2.0 at the time of writing. When you extract the contents from the zip file, copy the “phpBB” folder to your clipboard. Now, go to \www\demo\quickinstall-master\sources and paste the folder here. This will be the source board that QuickInstall will use to create a new forum. 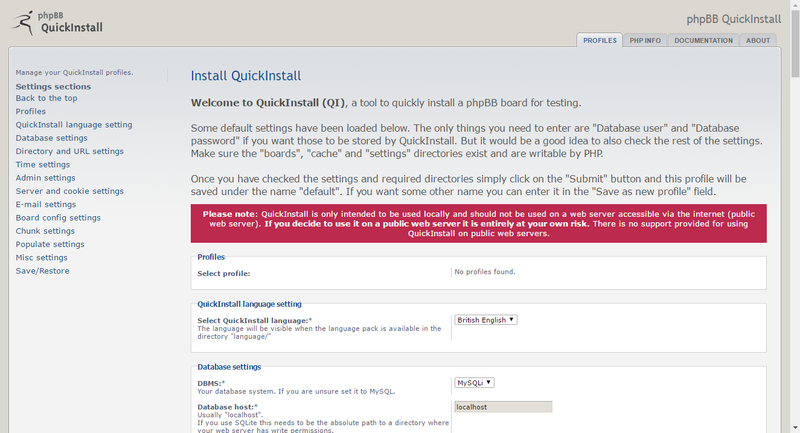 Finally the “boards”, “cache” and “settings” directories in QuickInstall need to be writable by PHP. This is all that needs to be done to set up a basic congifiguration of QuickInstall. If you now navigate to http://localhost/demo/quickinstall-master/ in your browser the setup page will be displayed, automatically displaying the Profiles tab. Under database settings, enter “root” as the user and leave the password blank (these are the default WAMP settings; if you used something different then it’s important that it’s reflected here). In a real world environment you would never want to have a blank database password, but as this is strictly a local set up that nobody else will be accessing it will not pose a security problem. The rest of the settings can be left as-is. I would however recommend under the admin settings using an easily memorable username and password though, because you may be accessing this test board very regularly, and under the populate board settings checking the Yes option just so you have some test data to work with. 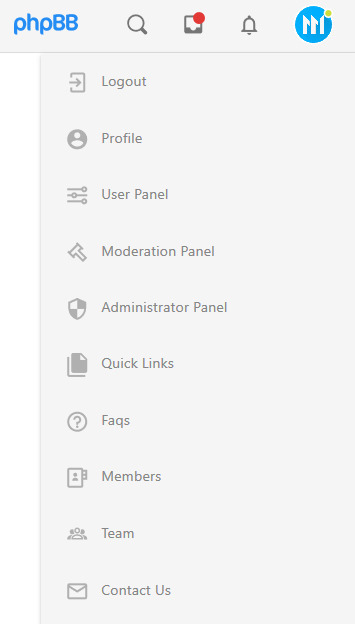 Once you Submit this form, the Boards tab will become visible. 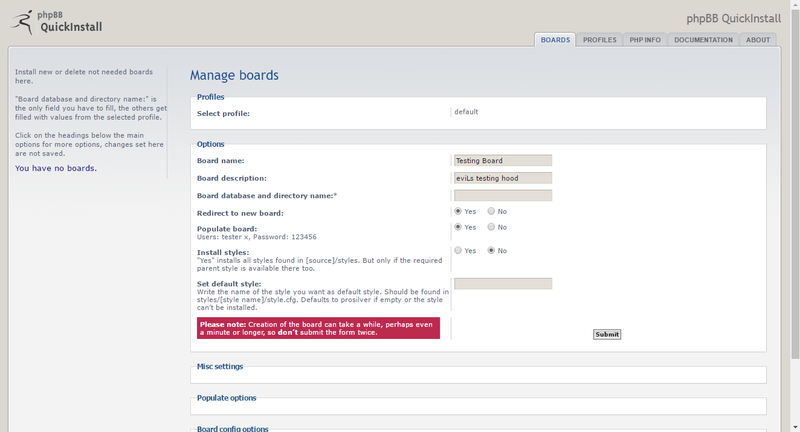 You can modify some settings such as the board name if you wish (handy if, as mentioned above, you wanted to create a different board for each different extension you are developing) but the only field that needs to be explicitly defined is the database/directory name. In the past I have just used an incremental naming system (“test_board_1”, “test_board_2”, etc) so I will use test_board_1 for this example, but you can use any name you want. By this point you have a fully functioning phpBB testing environment which you can modify as you desire. Most aspiring developers will already have a text editor of choice, but if you are new to extension development there are a number of tools you can start out with. Notepad++ (https://notepad-plus-plus.org/) is a simple but powerful text editor which has been on the scene for many years; and is free. It doesn’t have all the bells and whistles but it has syntax highlighting, auto-completion and a few other handy things which work well for PHP development. Another nice text editor which is a little more modern and feature-filled is Sublime (https://www.sublimetext.com). Technically it is a paid product, but you can download and use it for free if you can put up with periodic reminders to buy the program. Otherwise you can easily purchase a license on their site. For more advanced developers a full-fledged IDE might be desirable and the best one I’ve used is PhpStorm. 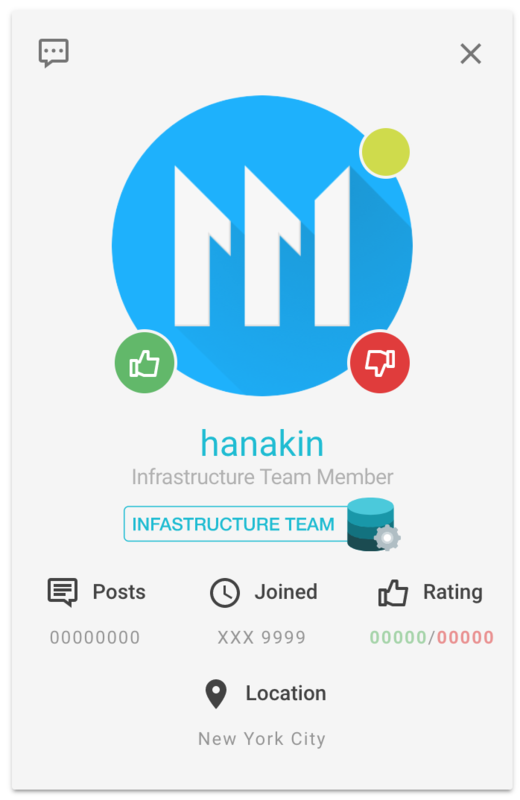 It’s the IDE of choice for a number of phpBB team members and has more features than you could possibly ever use; the highlights being powerful debugging capabilities, refactoring, testing facilities and version control integration (such as Git). Now you can get started on your extension idea, or any other tweaks and modifications you wish to make to phpBB! 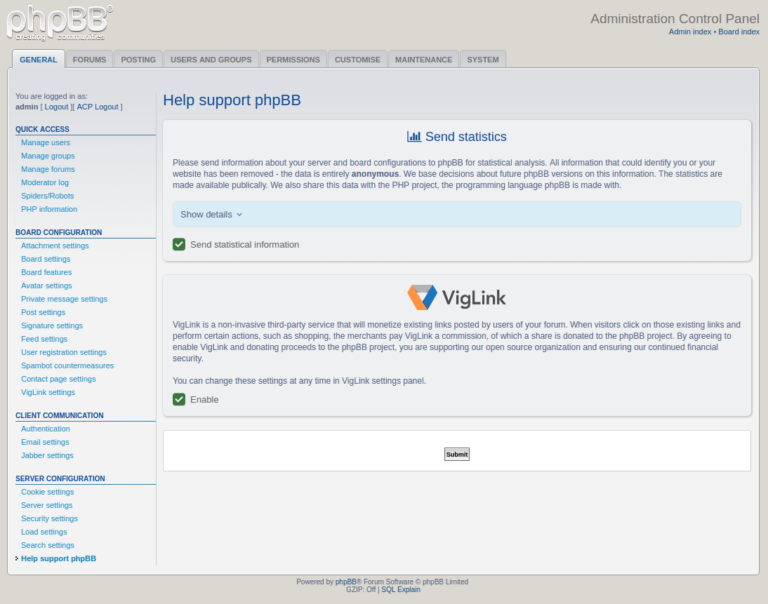 Beginning with phpBB 3.2 Release Candidate 2, the phpBB package will include a VigLink extension. 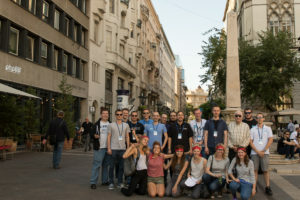 Currently, we rely solely on ads served throughout phpBB.com to fund the project’s expenses, namely: web hosting, legal expenses, software licenses, travel expenses for community events, etc. Our ad revenue has been steadily declining for a long time because the unobtrusive ads we’re willing to serve to visitors are less and less profitable. 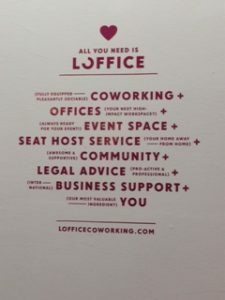 We have explored a variety of alternate funding options, such as utilizing more profitable advertising or accepting donations, however we feel that these solutions would either be ineffective or result in tangible undesirable effects. We believe that this is the best solution to our current problem, namely that it provides a necessary revenue stream for the project while not negatively affecting the usability of the phpBB software. 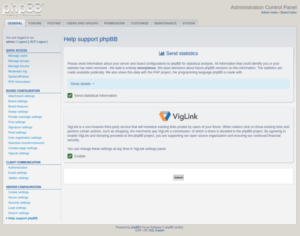 The new extension allows phpBB users to support the phpBB project or alternatively elect to monetize their forums using a service called VigLink. If you enable the VigLink extension, whenever a user follows a link from your forum to any of VigLink’s partner websites and performs certain actions (such as making a purchase), a referral credit will be generated. To be clear, this will only affect existing links and should be entirely unnoticeable. It can also be entirely disabled, at your discretion. With Proteus we’ll be moving on from Saturn and continue our deep space journey to Neptune’s second largest moon (based on the name Proteus, the shape-changing sea god of Greek mythology). We’ll be updating the release process page in the next few weeks to reflect this as well as to update current maintenance periods and target release timeframes. Thanks to everyone for participating in this vote! At phpBB we love codenames as much as we love Bertie. Previously we have travelled to Mars and Saturn to find the most prominent features to name our versions. Now it’s time to come up with another codename for the version of phpBB. In line with having an open mind for new features, looks, and changes in phpBB’s next major version we’re also opening up the decision on the codename to the community. The phpBB Team has already pre-selected four possibilities from a rather long list. The vote will end in two weeks on October 30th, 2016. As some of you might have noticed, a security issue has recently been uncovered in ImageMagick, a widely used software suite for displaying and modifying images. You can read about the full details of the exploit on news outlets like Ars Technica (article on ImageMagick exploit) and the ImageMagick community forum. It has come to our attention that admins are unsure whether this affects their phpBB installation and/or what they might have to do to secure their installation. First and foremost let me make it clear that, based on the currently available information, phpBB is not vulnerable to the exploits. phpBB already verifies the supplied image types and therefore already contains one of the described mitigations for the ImageMagick vulnerabilities. phpBB supports using ImageMagick for creating thumbnails only. Other parts of phpBB, such as image or general attachment uploads, are not using ImageMagick at all. The described exploits rely on directly passing uploads to ImageMagick and/or passing “clear text” image formats such as SVG or MVG to it. phpBB itself does not support these image types for creating thumbnails and therefore will not pass them onto ImageMagick. Additionally, supported image types are checked for integrity before passing it onto ImageMagick for thumbnail creation. Passing malicious files as described and disguising them as other image types is therefore not possible. We hope this will help with clearing up any confusion or uncertainty on this subject. 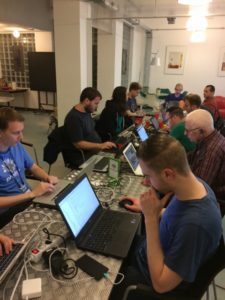 phpBB 3.2 Rhea is near – help us test it now! On October 28th, 2014, we published phpBB 3.1 Ascraeus, the culmination of nearly 8 years of development since phpBB 3.0—an eternity when it comes to web development. We learned our lesson from trying to build a major feature release over a timespan that saw major changes in web technologies; while our roadmap had to change frequently, none of the progress was made available to you—our users. 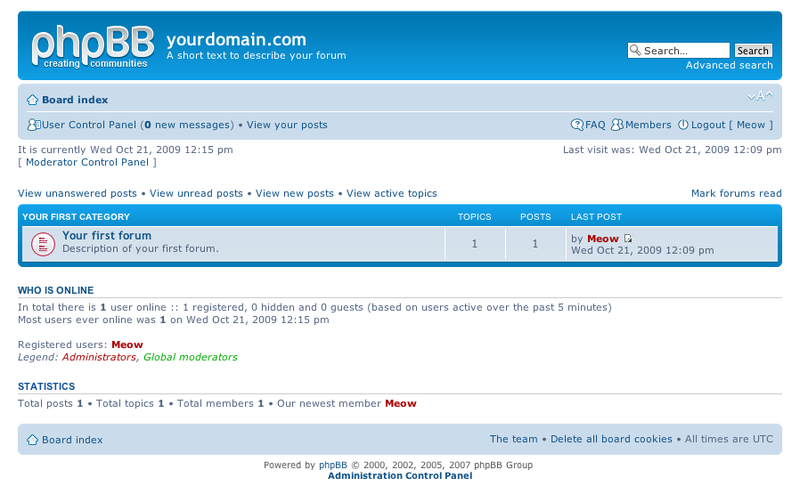 When we finally released phpBB 3.1, I announced that phpBB would from now on see feature releases on an annual basis. It has now been one year and 6 months since I made this statement. Our most recent release has been phpBB 3.2 Rhea 3.2.0 Beta2, on March 7th 2016. So we missed our goal, but we’re well on the way to reaching a new stable feature release before summer this year. We’ve been making great progress with tweaking our workflows to more strictly adhere to the schedule in the future. As the Development Team Leader, I updated you much too infrequently on development progress, partly due to having many other tasks to also focus on. Unless you follow our development forums at Area51, or our social media accounts on Facebook or Twitter, you are unlikely to have heard of our recent 3.2 Beta releases. As these responsibilities exceed what a single person can do well, Marc Alexander stepped up in February to take over the Development Team Lead position. From now on, I will be responsible for more frequently informing you of all developments regarding phpBB, as its new Product Manager. We are looking forward to your feedback on the Beta releases and upcoming final release candidates of phpBB 3.2 Rhea.We cannot produce a stable final product without your testing and bug reporting. Download Beta packages from our archive at https://download.phpbb.com/pub/release/3.2/unstable/3.2.0-b2/. Please keep in mind that you should not run this version of phpBB on your live sites yet, and no support will be offered until the RC phase. If you’d like to get involved with phpBB development to help us finish new features faster, check out the information available on Area51. 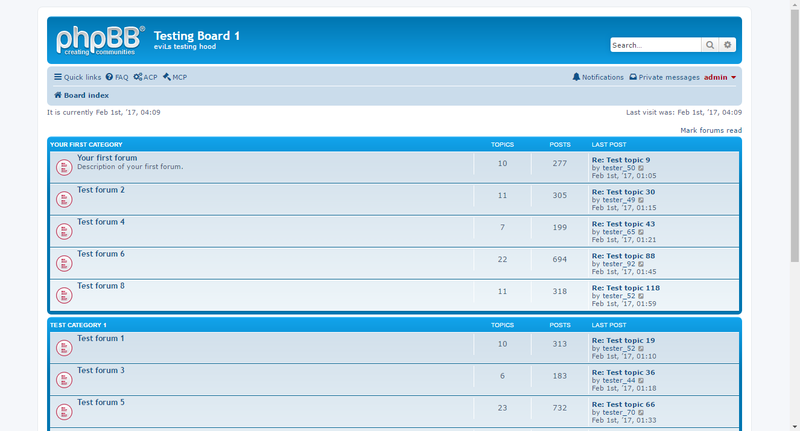 And lastly, if you’d like to stay up to date on phpBB development progress, follow this blog!